Close up view of the hole size. 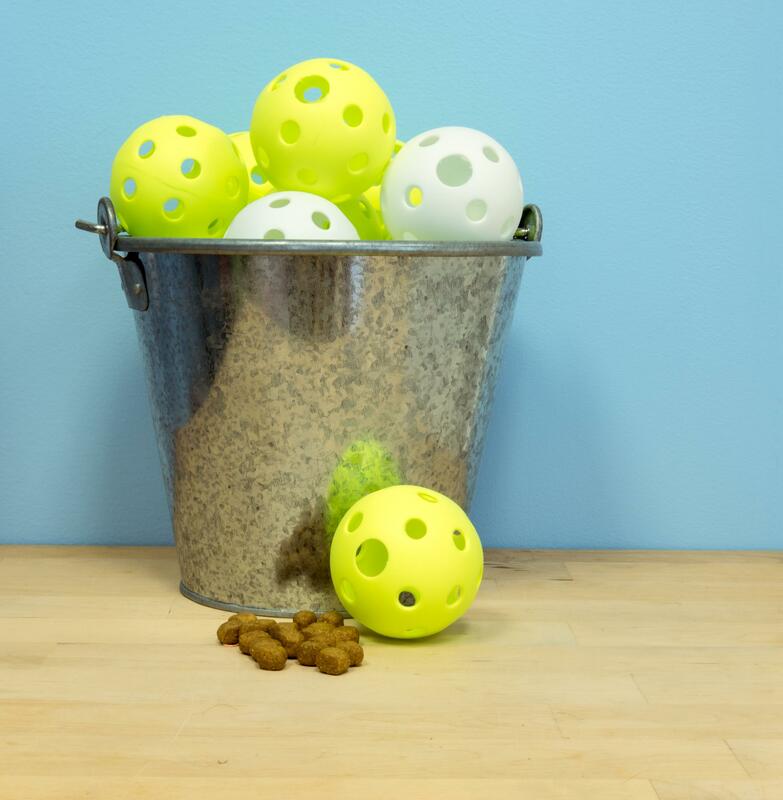 The Foraging Wiffle Ball is a good beginner object. 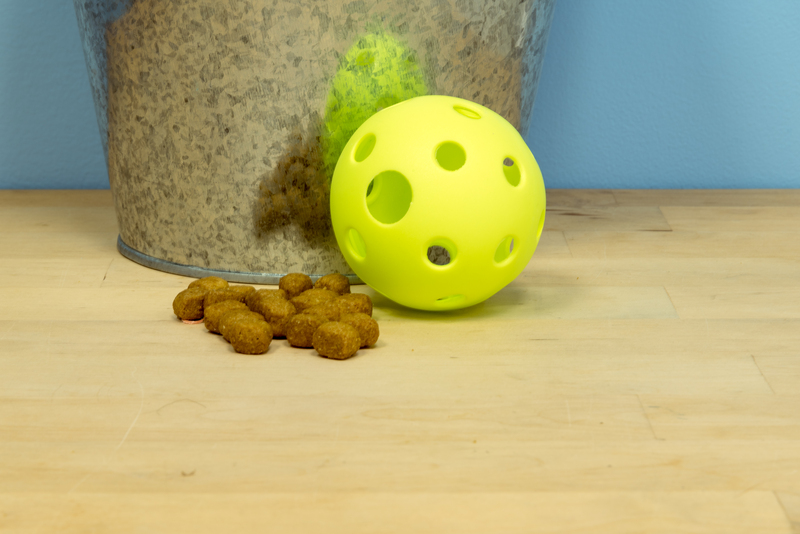 The many perforated holes increase scent attraction, it is round so it is easily rolled, and the cat can also see that there is food in the ball since it is not complete opaque. It is only available with one large hole for large kibble for obvious reasons, as it already has many small holes. Some cats hook their nails into the holes and learn to shake out the kibble! Two of our senior patients foraging for the very first time from a wiffle ball toy. This object is great for beginners and intermediate foragers. The many holes appeal to their sense of smell and they can even hook their nails into the holes and pick up the ball and shake it!